Off to the sides of the main road between Livingstone and Lusaka, Zambia's Southern Province is vibrant with a large diversity of music – topical songs, unique guitar styles (often with self-made guitars), catchy tunes and rhythms, beautiful harmony singing, and some nice drumming! The roadside reality – the state of music as it is. And it is the hands of wonderful individualistic musicians, in this relatively unknown part of Africa, who deserve a wider audience. Relaxed field recordings by Michael Baird of top performances only – and with a great sound. Total time: 69'07". 20 page booklet. Tracklist: 1. Kalonda, 2. Moyo Taukali Mucamba, 3. Busiku Bwanduuma, 4. Maggie, 5. Kalinda, 6. Nobantu Bacisi, 7. Wbelelwa, 8. Shungu Namutitima, 9. Twalumba, 10. Mwachibona Chimami, 11. Baka Mana Bana Mubingi, 12. Hamakando Vwila, 13. Kulila kwakabbanjo, 14. Kasilimu Baama, 15. Aidisi Tiyakalonda Banyama. 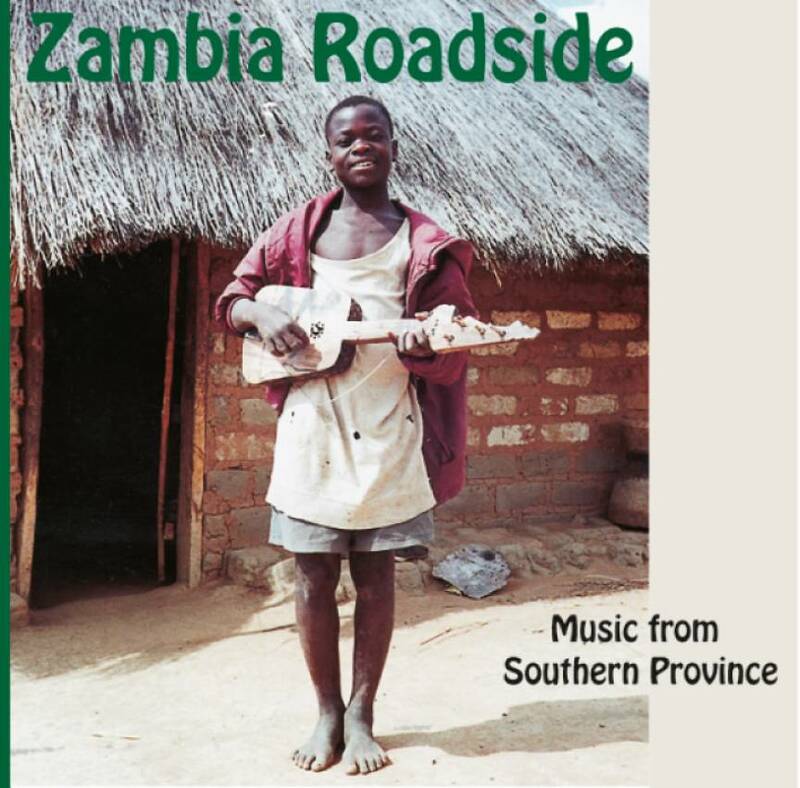 Afropop 2003 (USA): "This bubbly, brilliant set of new field recordings features informal performances by totally acoustic groups encountered along the unpaved roadways of Zambia’s Southern Province. The roadside boogie is interspersed with some unusual pieces, notably two women’s choral pieces. Following in Tracey’s footsteps, Baird demonstrates that there is still plenty of great, undiscovered music to be found off the beaten track in Africa." Rootsworld 2003 (USA): "It starts off with a few tracks of absolutely addictive, acoustic guitar music, followed by glorious music of a slightly more formal nature: women’s choirs. The entire cd is programmed in a beautiful mix of styles and sounds, shifting smartly from one thing to the next in a logical and musical fashion." fRoots 2003 (GB): "It’s infectious, urgent, with sweet harmony singing and lyrics which mix broad comedy with social comment."